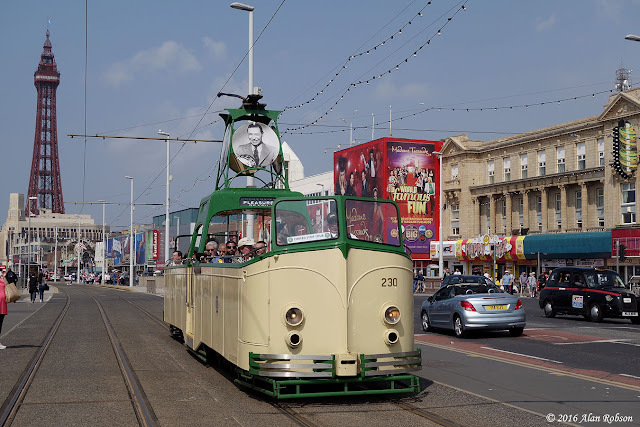 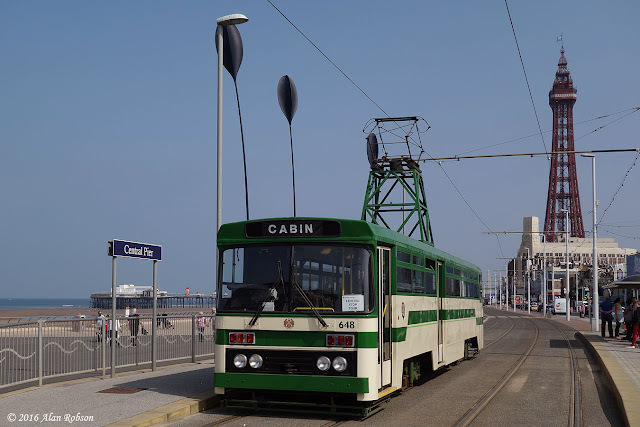 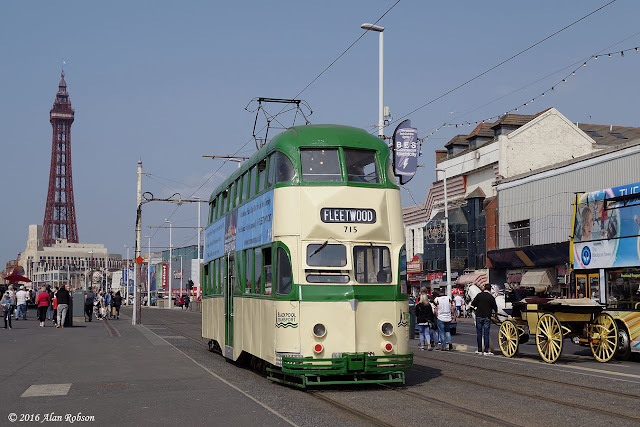 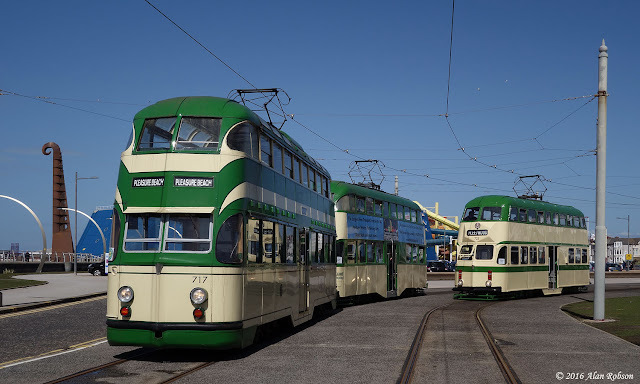 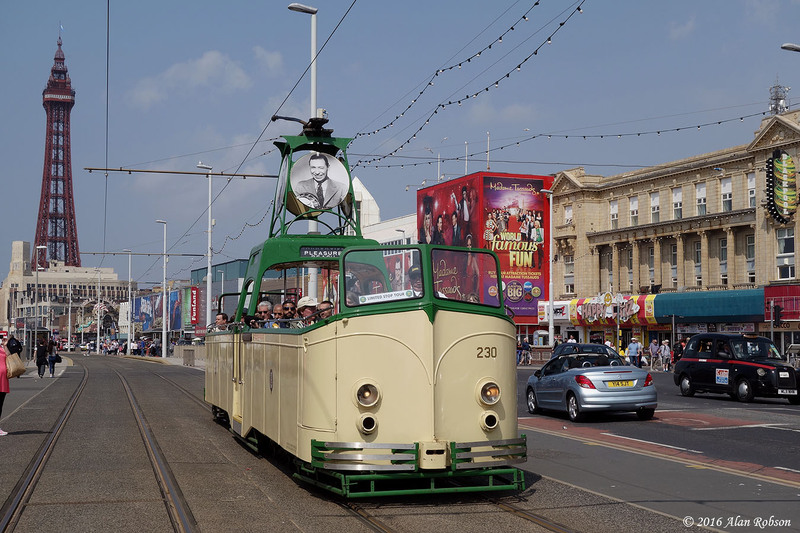 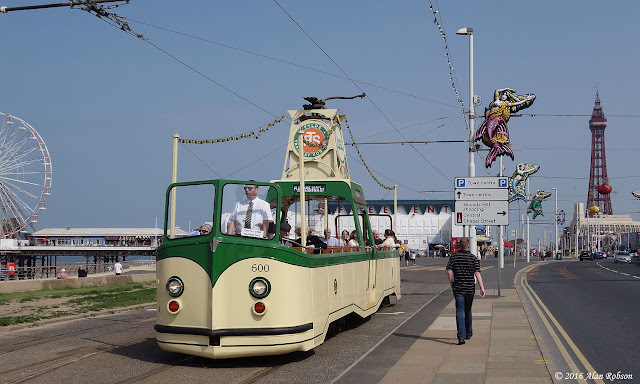 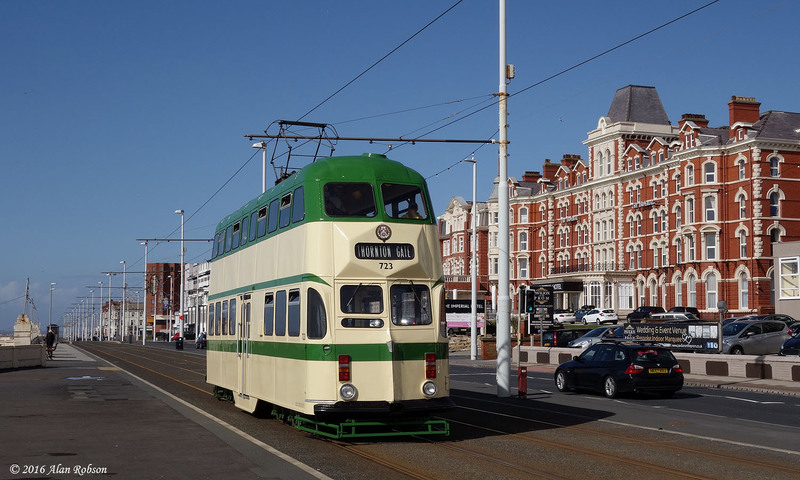 The Spring Bank Holiday Monday Heritage Tram output consisted of duty A: Boat 227, duty B: Railcoach 680, duty C: Twin Set 675/685, duty D: Marton Box 31, duty E: Boat 230 and duty F: Balloon 723. 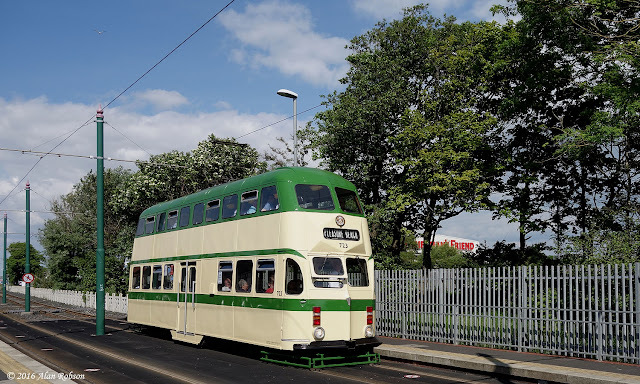 The day was warm and bright again, rounding off a very pleasant three days of enhanced timetable heritage service that saw open-top trams in regular use. The theme for today is "Trams and Trees", and while the concrete jungle that is Blackpool is rather short on greenery along the coast, a short distance to the north in neighbouring Wyre the lineside scenery is a lot more verdant. 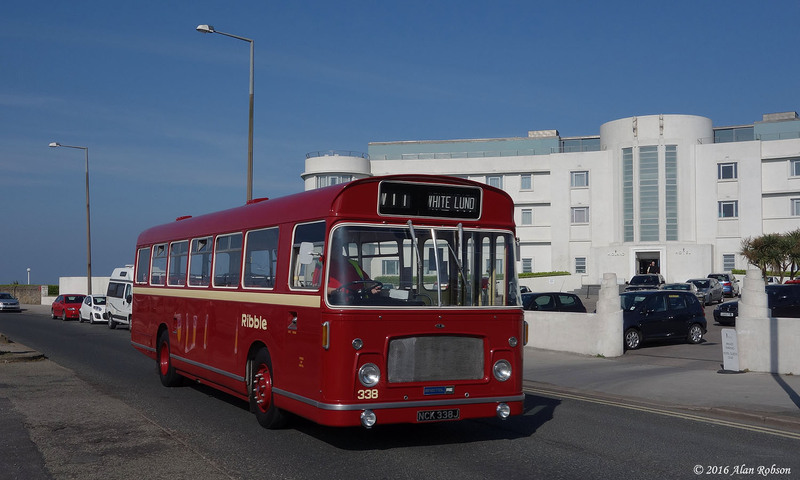 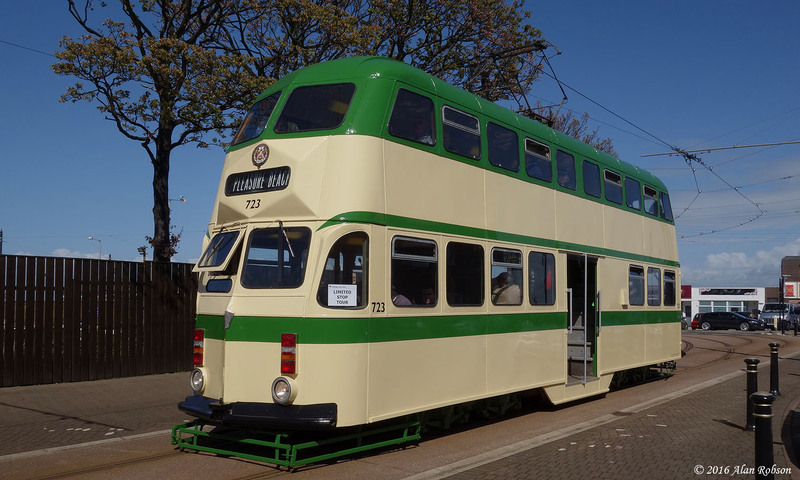 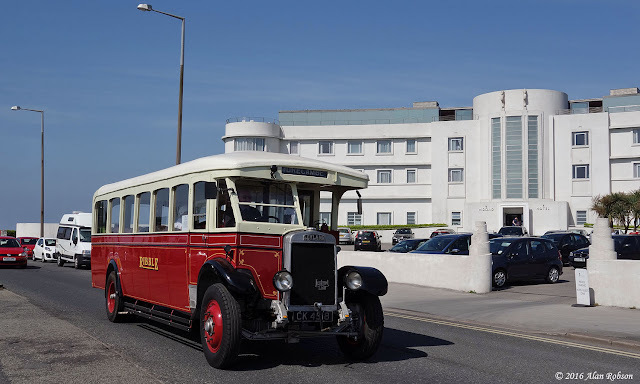 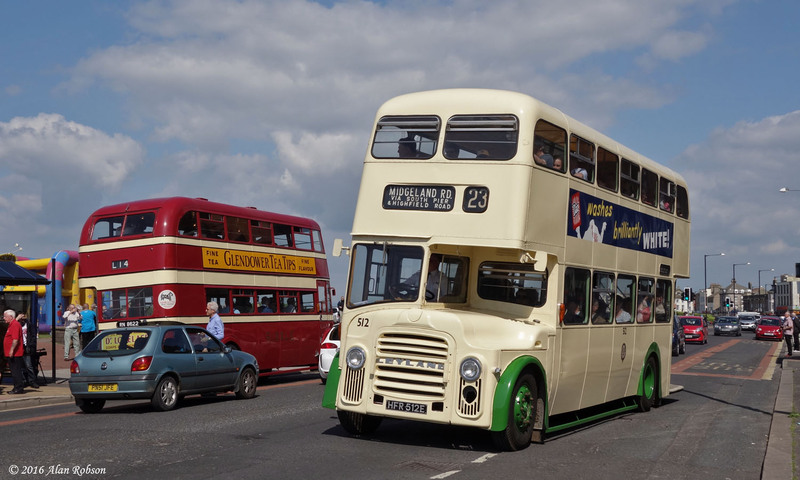 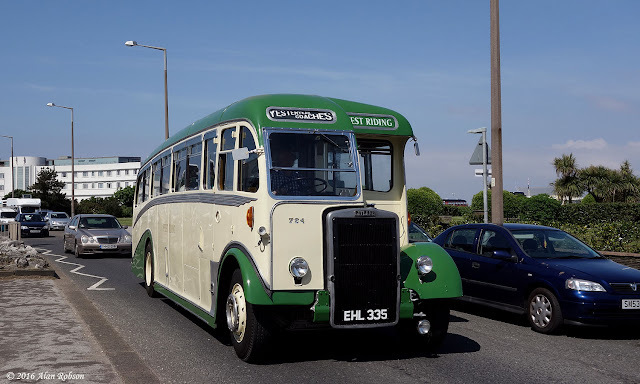 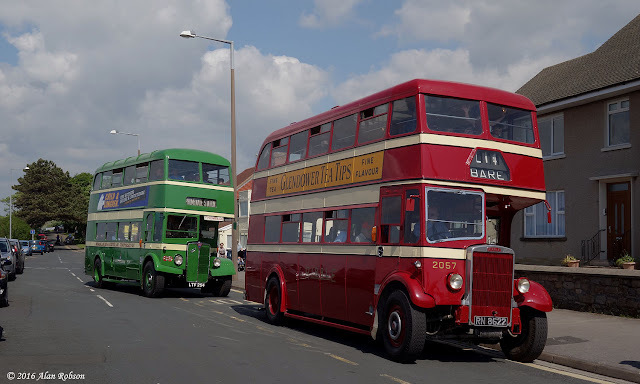 The Ribble Vehicle Preservation Trust held their sixth 'Vintage Bus Running Day' at Morecambe on Sunday 29th May. 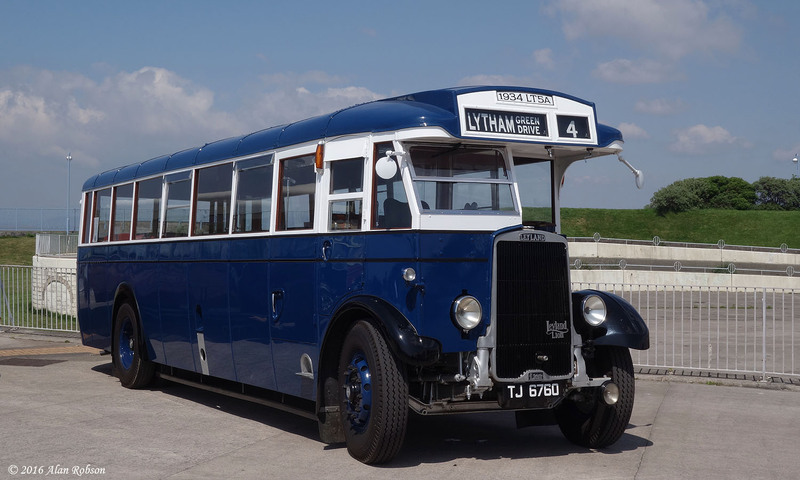 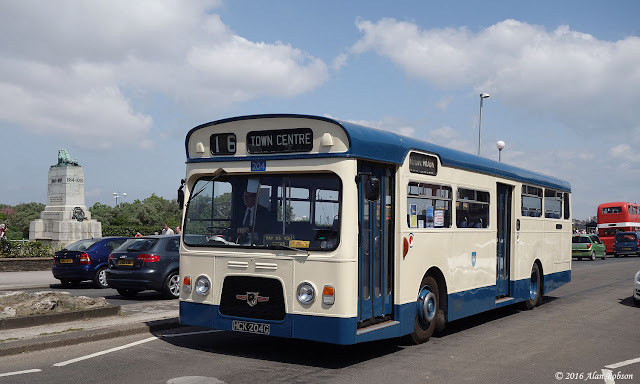 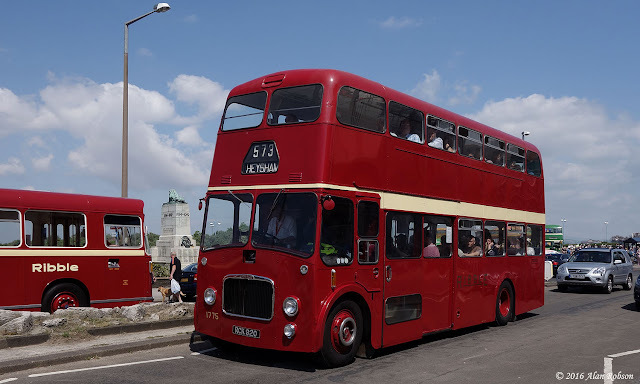 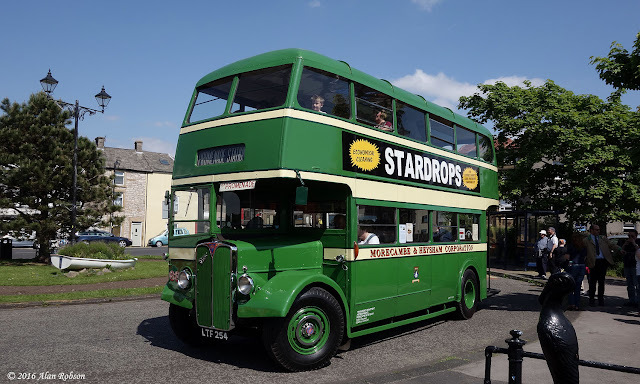 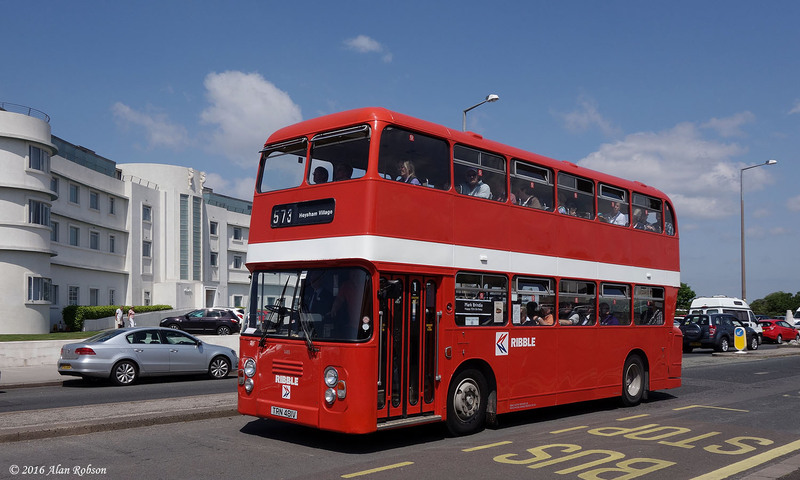 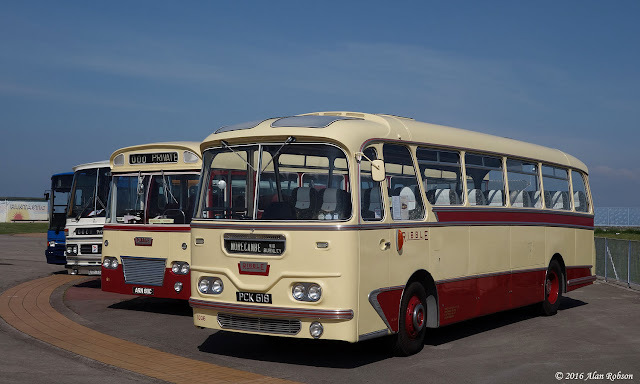 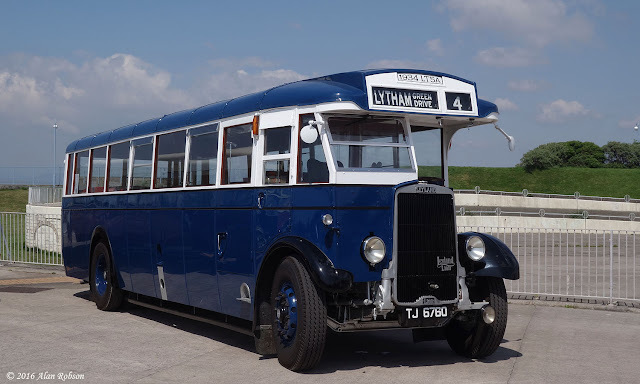 The event comprised of static vehicle exhibits, sales stalls and the opportunity to ride on a wide variety of preserved buses from a number of local operators, including Ribble Motor Services. 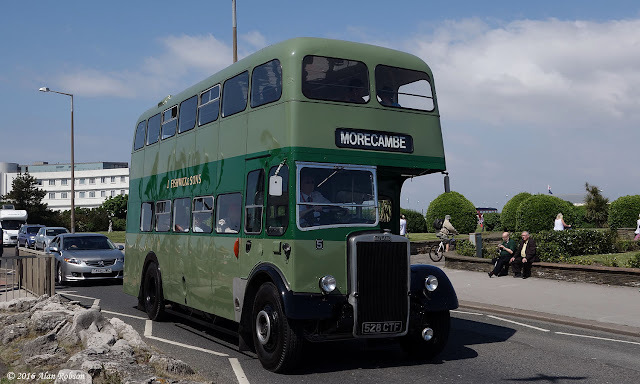 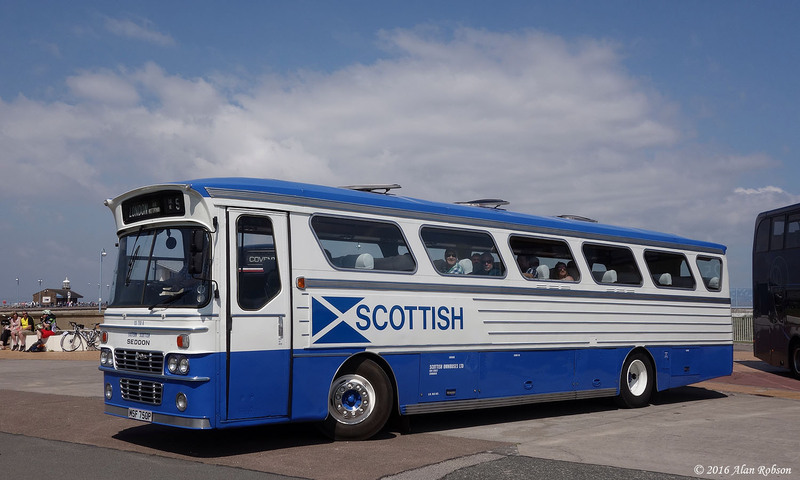 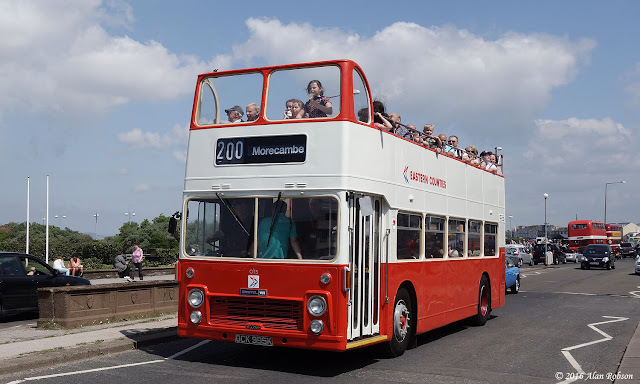 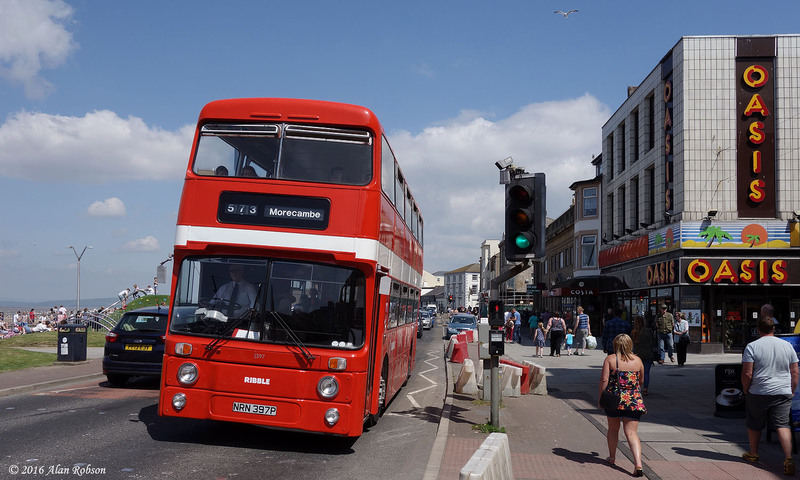 Free bus services were operated between Morecambe, Heysham and Carnforth, plus a frequent Bare Circular service and a mystery coach tour in the afternoon. The day was blessed throughout with glorious sunshine, which was the icing on the cake for what is now a popular annual event. 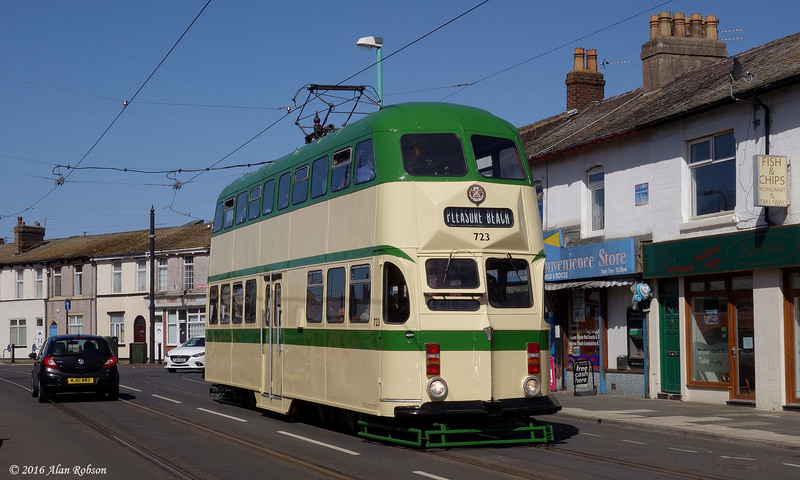 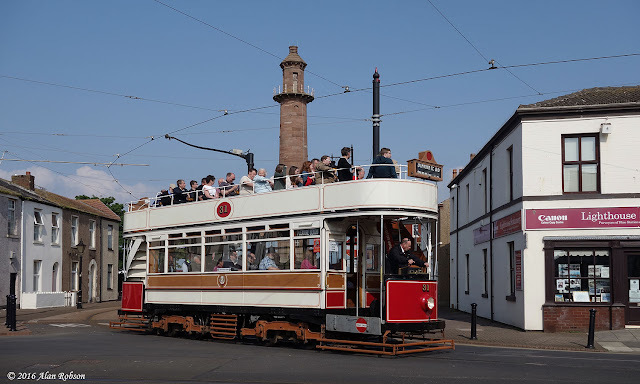 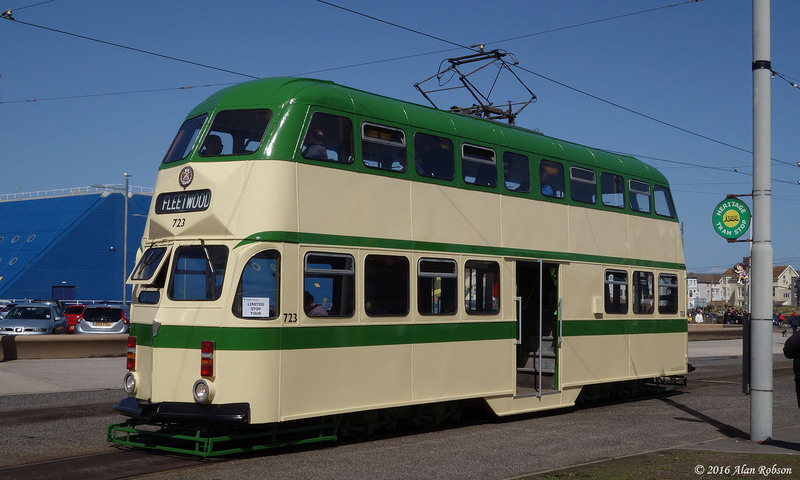 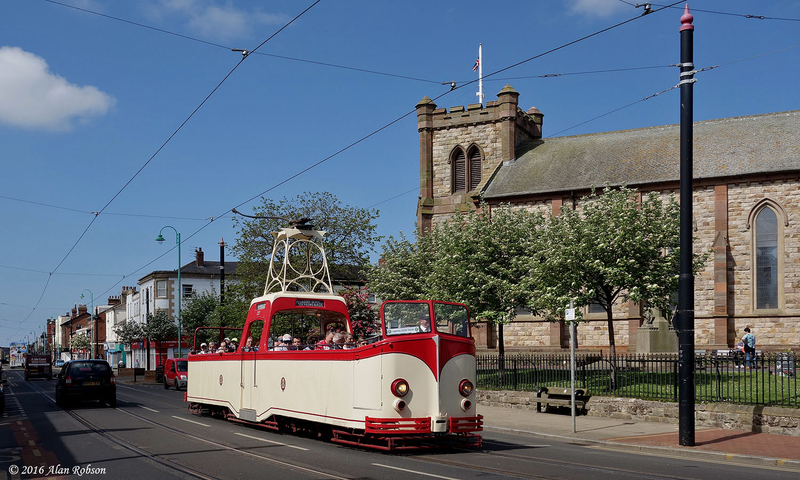 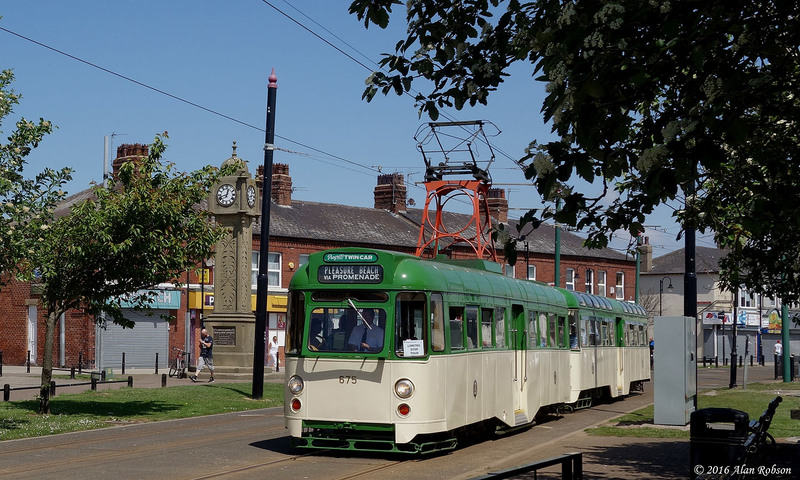 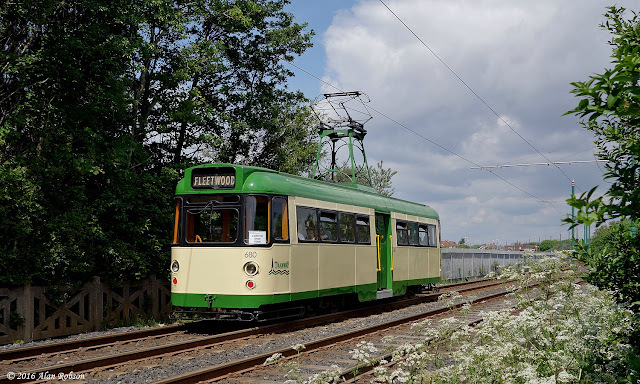 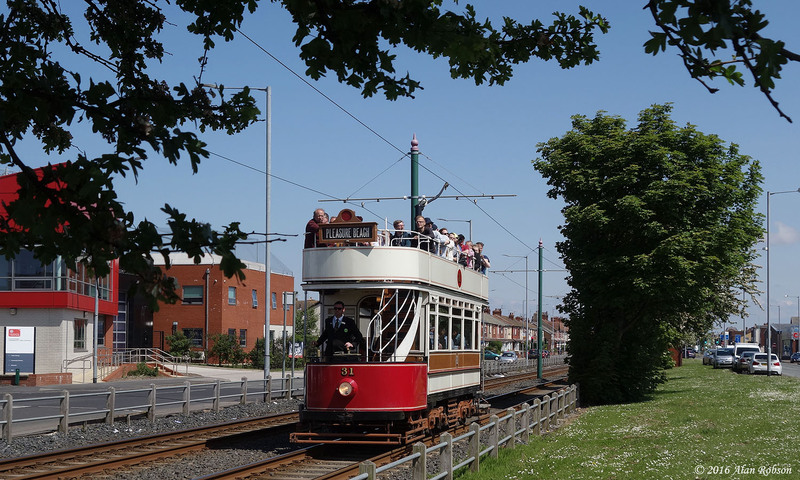 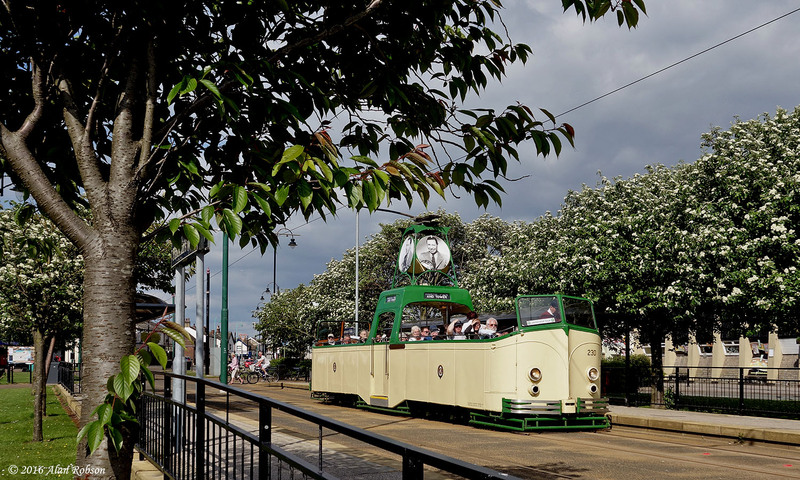 The Spring Bank Holiday Heritage Tram Tour output on Saturday 28th May was duty A: Boat 230, duty B: Centenary 648, duty C: Twin Set 272/T2, duty D: Boat 600, duty E: Marton Box 31 and duty F: Balloon 715. The day was mostly bright and sunny, although it clouded over for a while around lunchtime. 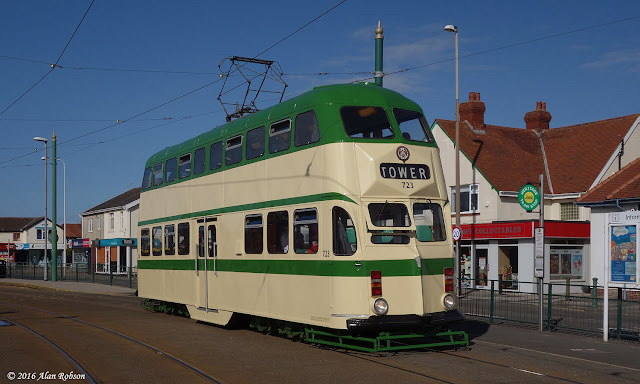 As the scaffolding that has hidden parts of Blackpool Tower for several years was finally removed at the end of March, the opportunity was taken to shoot a selection of Heritage Tram photos with the new clean look Tower as a backdrop. 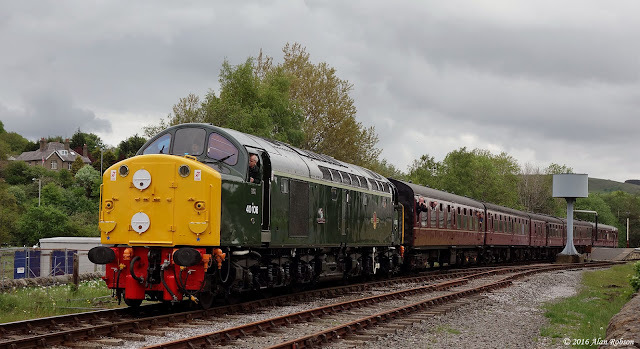 English Electric Class 40 D306 (40106) 'Atlantic Conveyor' made its inaugural passenger outing on the East Lancashire Railway at Bury on Sunday 22nd May. 40106 was purchased last November by The Class 40 Preservation Society from the late Gerald Boden, but the loco was only moved to the ELR from its former home at the Bo'ness & Kinneil Railway in Scotland last week. 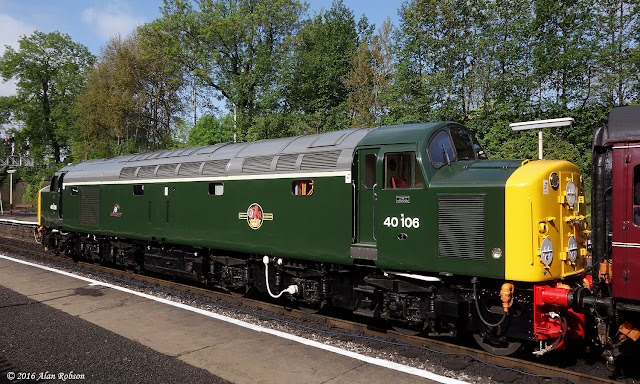 The CFPS now have three Class 40s at Bury representing the different styles of front end, D306 (40106) fitted with headcode discs, D335 (40135) with split headcode boxes and D345 (40145) with a centre headcode panel. 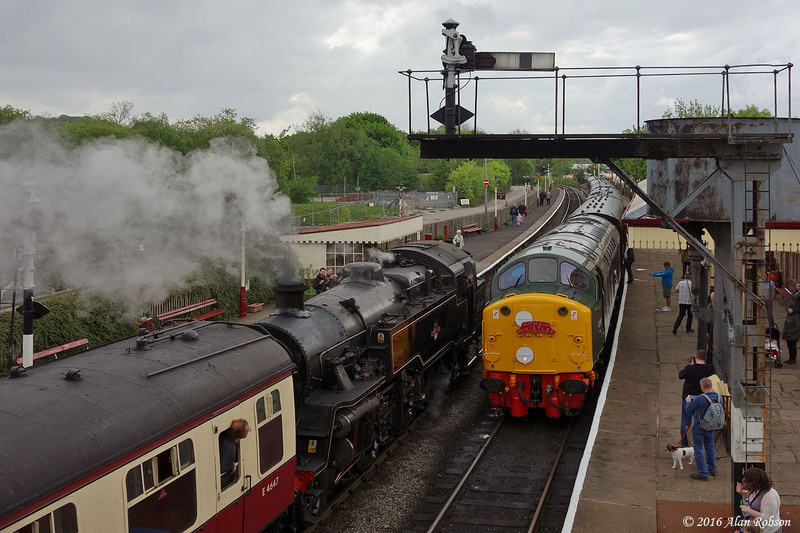 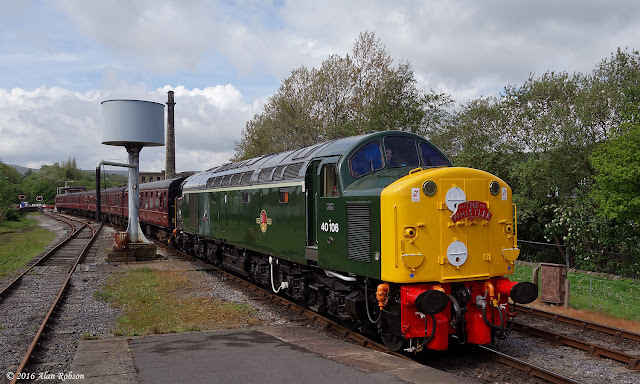 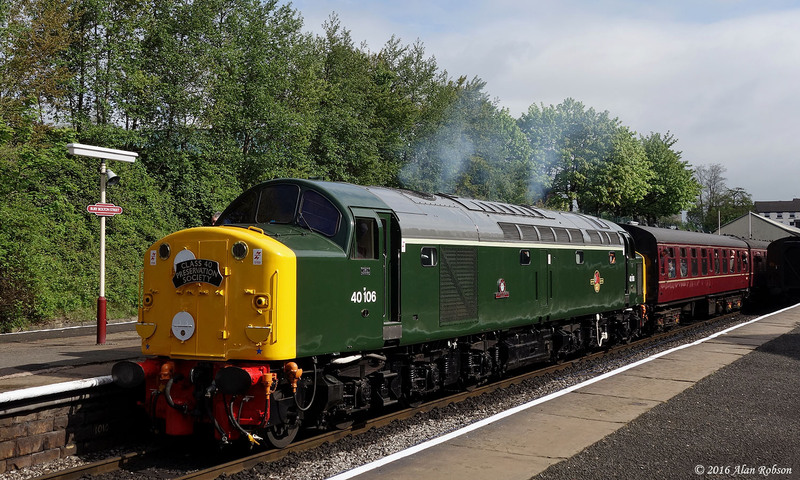 40106 operated the diesel diagram on the ELR on 22nd May, with its first run of the day being the 0930 departure from Bolton Street Station at Bury to Heywood. 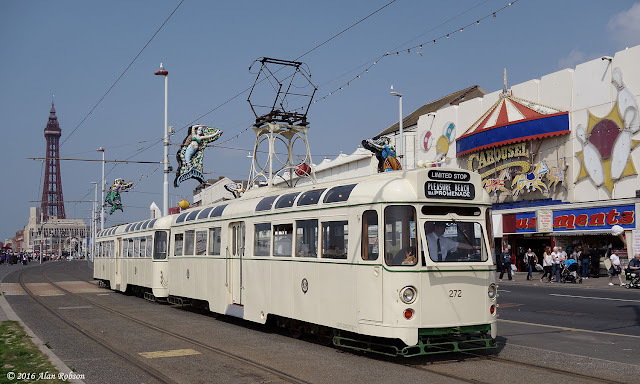 There were an interesting variety of vehicles in use on service 5 in Blackpool today, with two demonstrators being operated alongside the regular Palladium branded Mercedes Citaros. 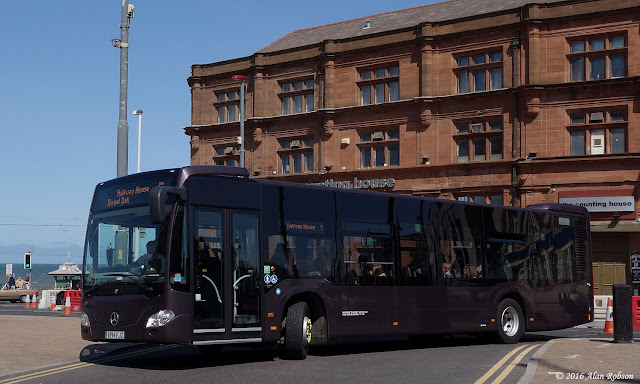 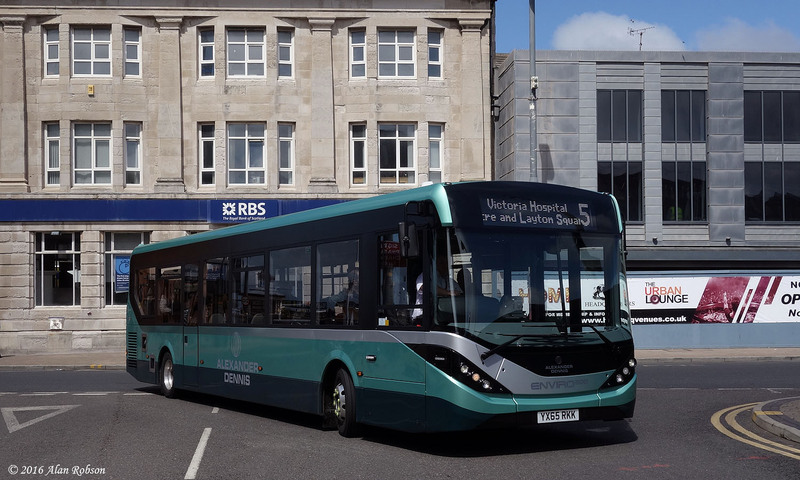 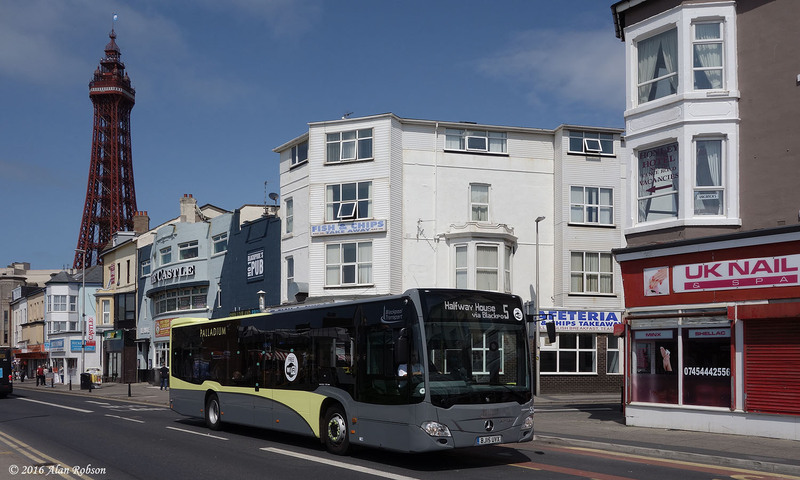 The Alexander Dennis Enviro 200 demonstrator (YX65 RKK) that was in evidence last week was still in use again, in addition to this bus there was a dark grey Mercedes Citaro demonstrator (BP14 FJZ) also operating on the route. A third Plaxton Centro bodied Volvo B7RLE has been repainted into the Palladium grey and yellow livery. Centro 531 has been seen in use on service 5 this week, and follows on from Volvos 527 and 529 which have already received the Palladium branding. 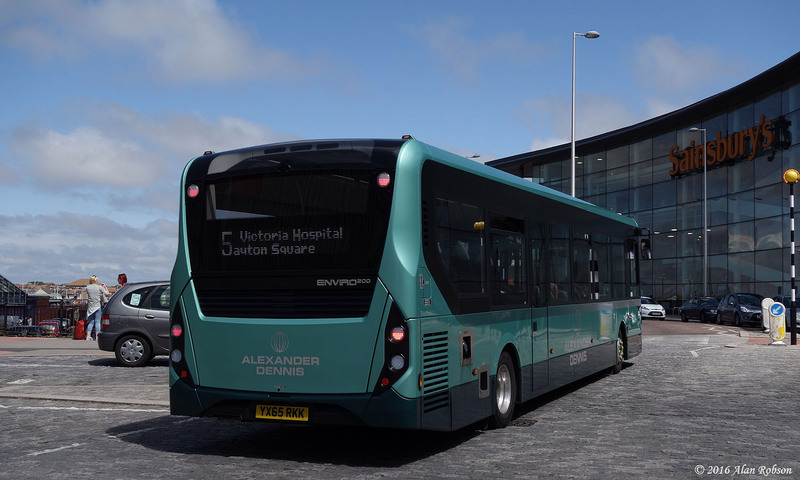 Blackpool Transport are evaluating their second Alexander Dennis Enviro 200 single deck demonstrator of the year. 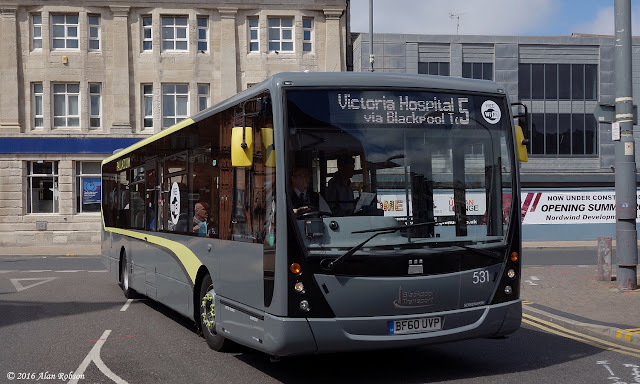 YX65 RKK is currently being used on the service 5, between Halfway House and Victoria Hospital. 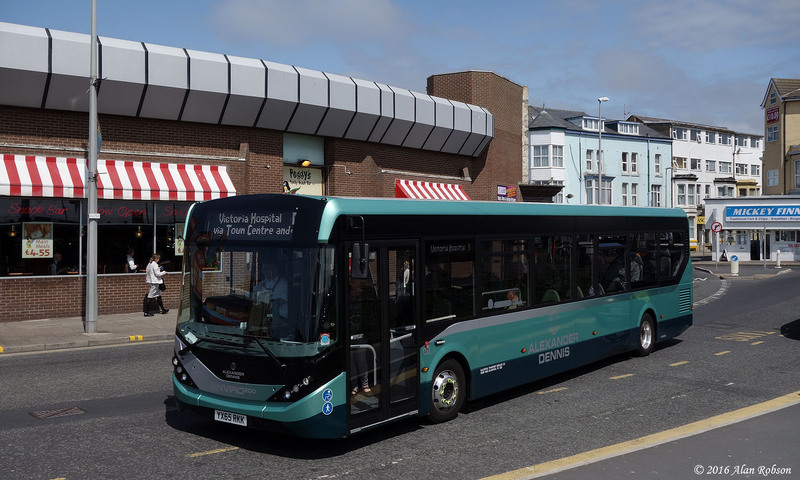 Another ADL Enviro 200 demonstrator (YX65 RLO) was in use with BTS earlier on in the year, in February. 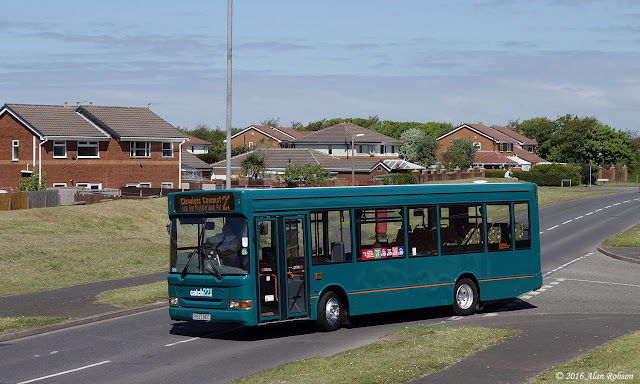 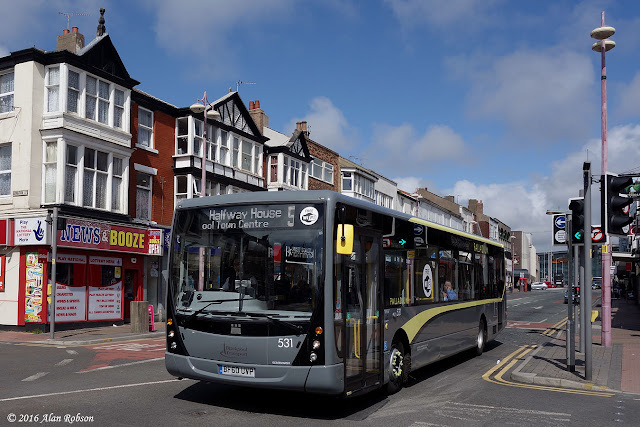 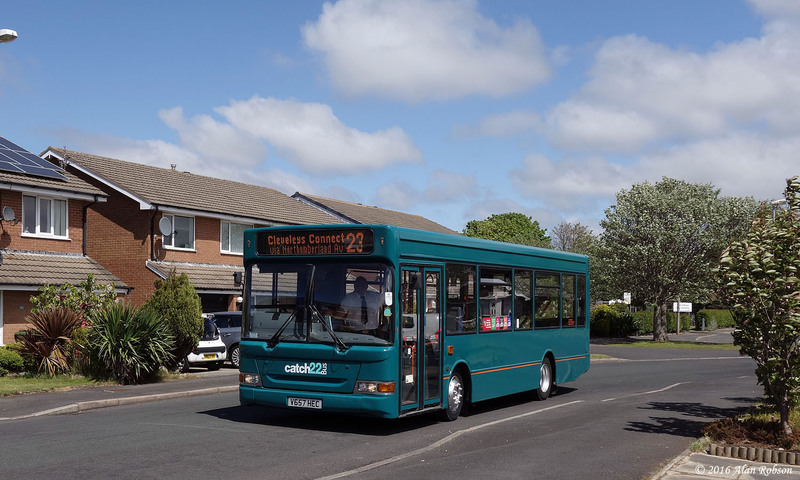 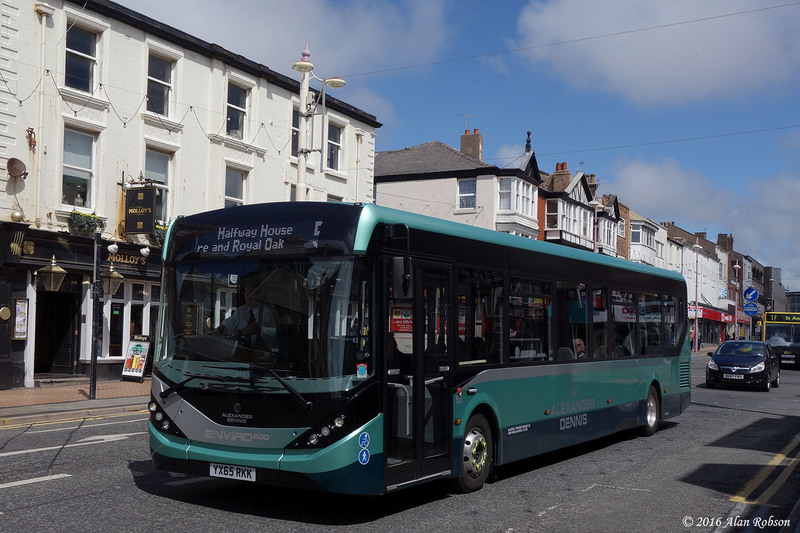 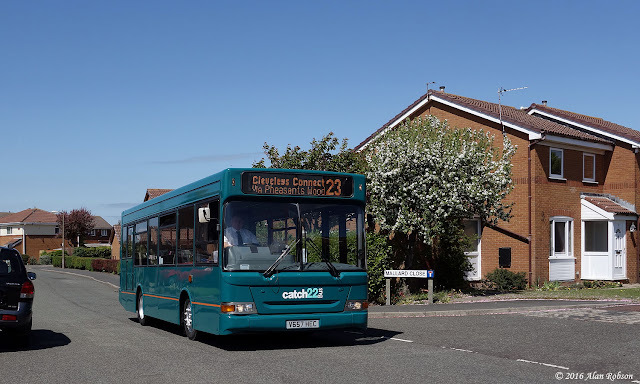 Catch22Bus Ltd began operating their new Cleveleys Connect 23 local bus service on Monday 16th May, between Cleveleys Bus Station and the Pheasant Wood Estate in Thornton. 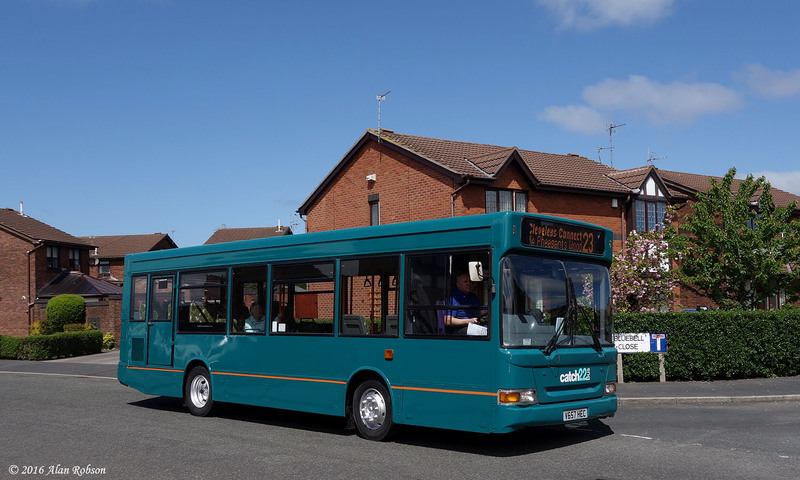 Former Diamond Bus Company Dennis Dart V657 HEC has been repainted into an overall turquoise livery for use on the new route, and is planned to be dedicated for service on the 23. Here are a selection of views of Balloon 723, which was recently repainted into the 1980s style Blackpool fleet livery for use in the Heritage Tour fleet. 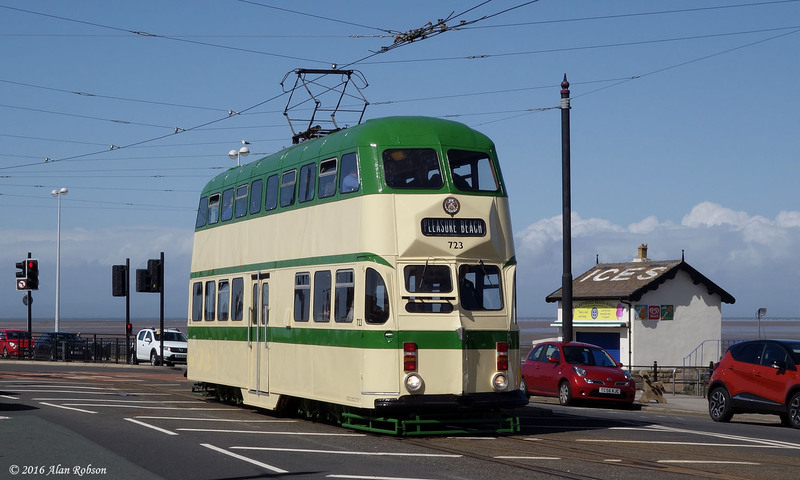 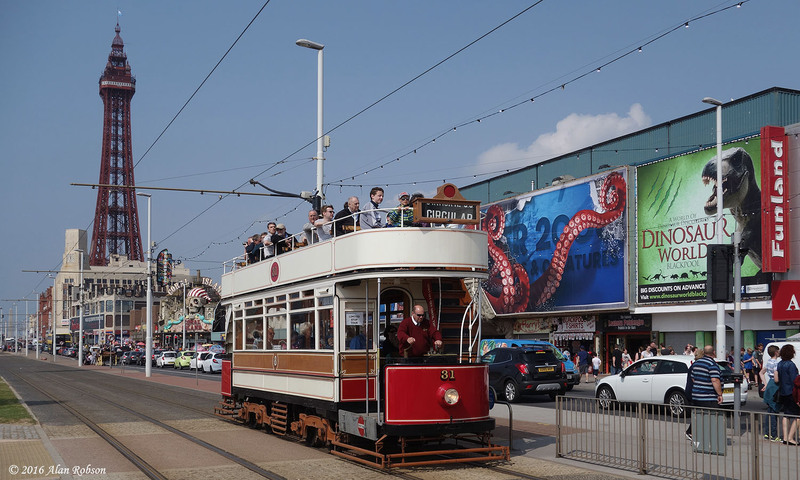 All the photos were taken during the debut of the newly repainted tram over the May Day Bank Holiday weekend.